When many people are asked to consider the health issues homeless people experience, mental health problems and drug and alcohol abuse probably come to mind first. But not many would consider just what living on the streets can do to their feet, and how serious these problems can get. 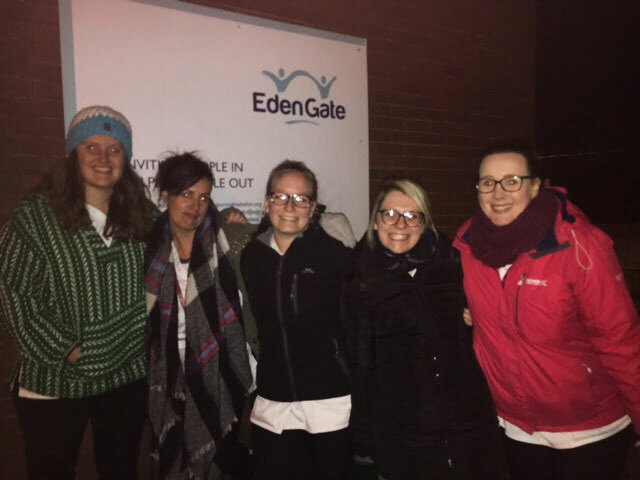 Myself and four of my fellow final year Podiatry students volunteered at Eden Gate, a drop-in centre and charity for homeless people in Newport city centre to offer Podiatry treatments in February this year. Five of us volunteered to help. Imagine if your feet got wet, and you weren’t able to dry them or your socks. Imagine if you were unable to change those socks and shoes for weeks, even months, rarely having the chance to take them off. Imagine also that you felt invisible, forgotten about and discarded by society. These are the people we treated. The Pod Squad reporting for duty at Eden Gate! The treatments we offered were simple; we washed their feet in warm soapy water, dried them with clean towels, cut their nails and filed away any hard skin or corns. We provided them with clean socks and gave them thermal liners for their shoes. We didn’t do anything ground-breaking, but just the physical human contact, having clean and dry feet and a sympathetic listening ear was enough to mean something. I have never encountered patients so appreciative. 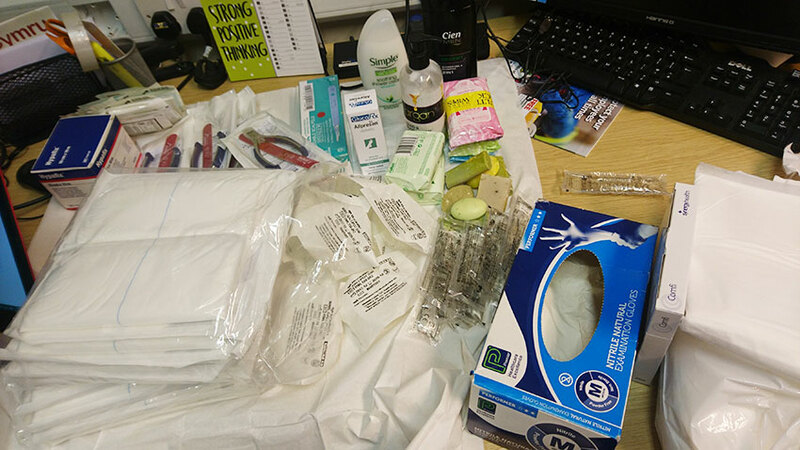 The treatments we offered were very basic but it felt like it really made a difference. 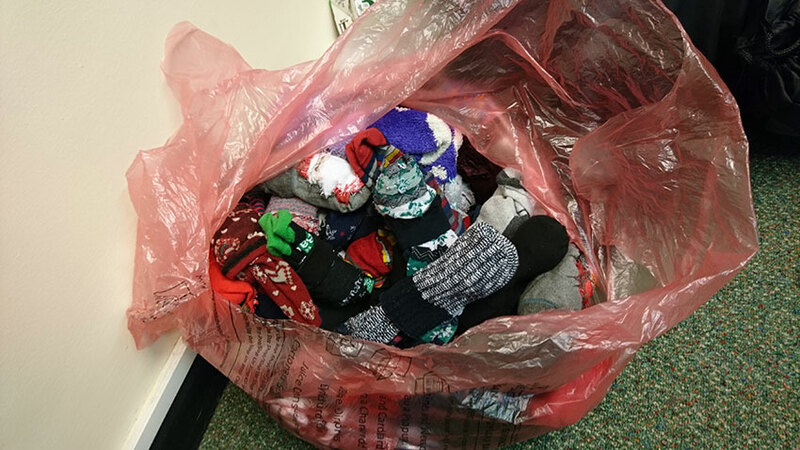 We were also able to provide clean socks thanks to some generous donations from our coursemates – in two days we managed to get over 50 pairs of socks! We also took in donations of clothes and toiletries, all of which Eden Gate put to good use. All 50 pairs of socks were put to good use! We are going back later in March and will hopefully be going back every 6 weeks or so to provide continuity of care. 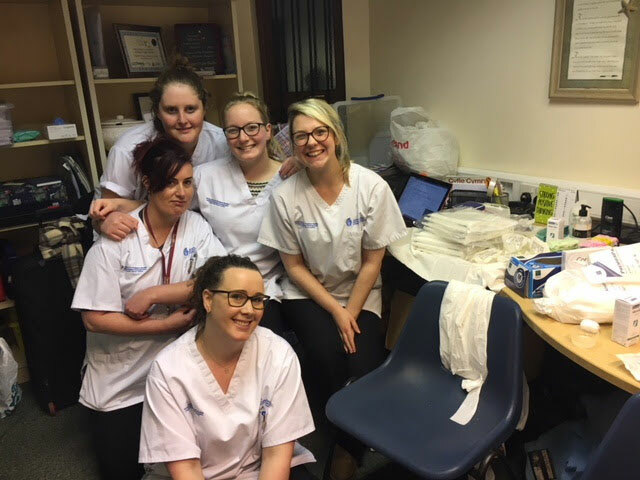 As well as it being a rewarding and humbling experience, it is also something very different to what we see on a daily basis on placement or at the clinic at uni. It really helped to expand our knowledge and experience on dealing with vulnerable adults and the complex medical needs homeless people may have. I can’t wait to go back and continue making a difference. 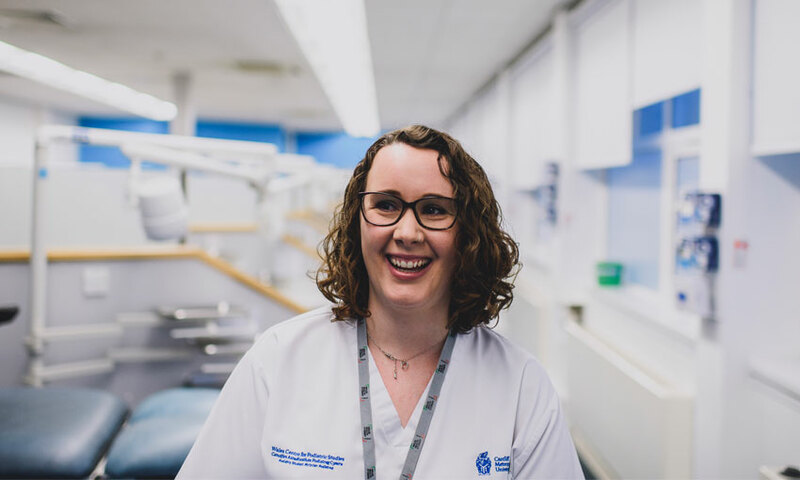 Read more about Cardiff Met students learning on the job, or find out what Natalie gets up to in a typical day studying Podiatry.